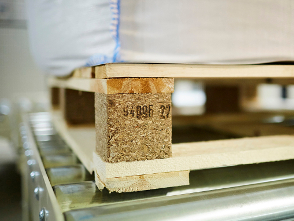 Pallet packaging and pallet transport by Dino. 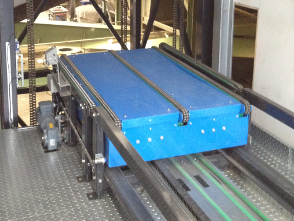 Dino Pallet Conveying consists of fixed modules and AGV solutions. Naturally, Dino Pallet Conveying attaches seamlessly to your Dino Stretch Hood. 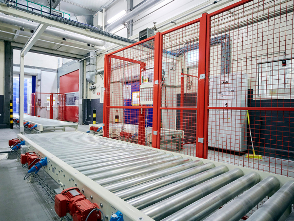 As you can imagine, this minimises the risk of malfunctions, delays and stoppages for your production line. 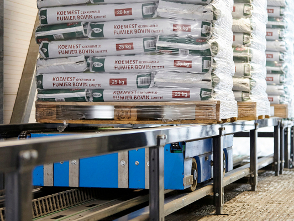 But also on its own, without the stretch hood machine, the pallet conveying system of Dino has a few very strong advantages. 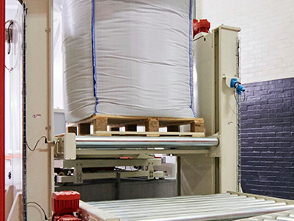 Dino Pallet Conveying has structured the design, production and installation process differently, i.e. 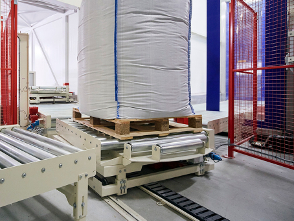 smarter, which has resulted in substantial improvements compared with other pallet transport systems. 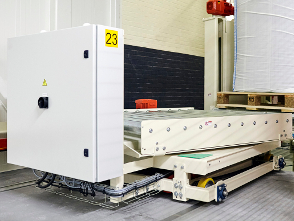 Combine the flexibility of Nipper AGV with fixed modules. Do not depend on one fixed setup, but stay flexible wherever necessary. Solid is the key word. 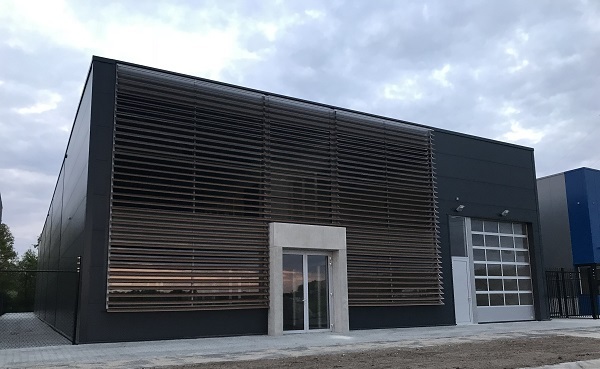 The materials used to construct the machine a premium-grade and the design of the modules is based on simplicity and robustness. This means heavy loads can be conveyed. As standard, all modules have SEW drives. Clever choices in the design and production keep the price low. 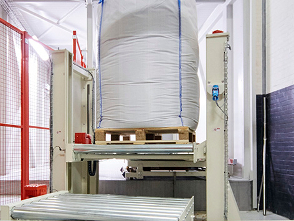 This makes Dino Pallet Conveying cheaper than any other comparable pallet conveying system, both in purchase price and in maintenance. In short, you get a high-quality product for a competitive price. 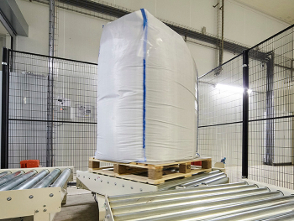 The Dino pallet transport system is composed of eight different basic modules. The modules are available individually, but can also be combined to create one complete customer-specific system. Thanks to the eight smart modules, practically any lay-out is possible. 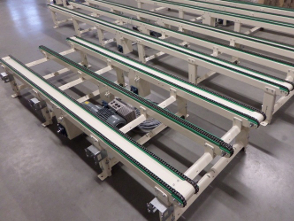 The pallet chain conveyors are available in two versions: pallet chain conveyors with 2 tracks en pallet chain conveyors with 3 tracks. 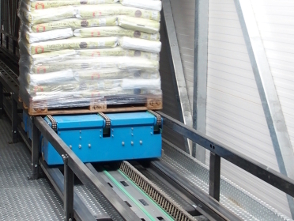 The pallet chain conveyors are used for the lateral conveyance of pallets weighing up to 1,500 kg. 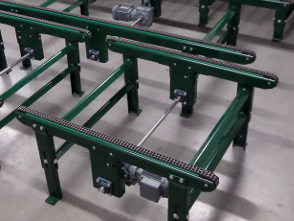 Standard lengths are 1200 mm and 2400 mm, but the modular assembly allows you to create every desired pallet chain conveyor. 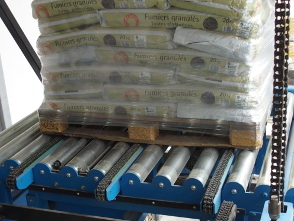 The turntable roller conveyor is used for rotating a pallet to any desired angle. The transport direction of the pallet remains the same. Its modular structure consisting of a base frame, turntable and roller conveyor ensures a sturdy module. The basic set-up can be expanded with additional free-running rollers. These can serve as extra support for less-quality pallets while they are moved on or off the turntable. 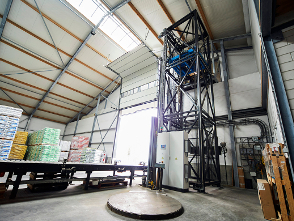 The pallet lift is electrically powered and comes in two different types. 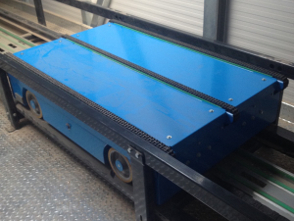 For transporting pallets between ground level and pallet transport level (approx. 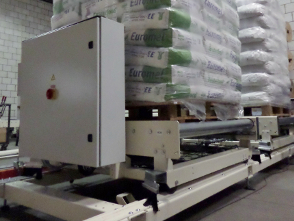 0 to 1 m), the pallets are loaded and unloaded using a hand pallet truck. 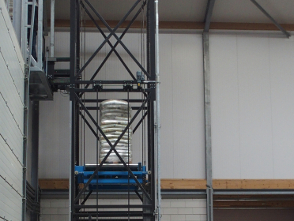 The second type is used for moving the pallets between different floors (approx. 0 to 15 m). 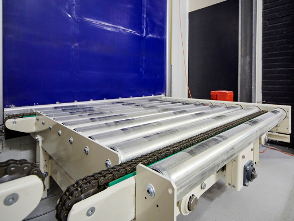 This type is often connected to a fully automated pallet transport system. 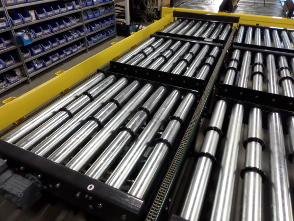 Manufactured in standard section lengths of 1400 mm, these roller conveyors can be connected to create any required roller conveyor length. 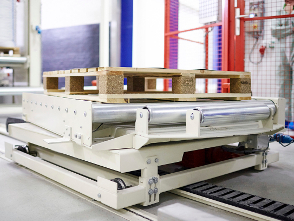 Depending on the quality of the pallet and the load weight, a pitch distance of either 127 mm or 200 mm is chosen. 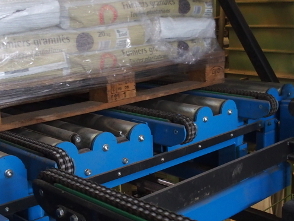 The pallet roller conveyor is bi-directional and equipped with a standard chain tensioning system. Optionally expandable with pallet detection by means of phototube or selector rod. 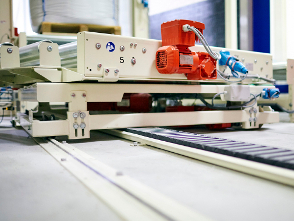 The pallet shuttle is equipped with either a fixed power supply or voltage rails. The main advantage is the speed and reliability. The shuttles are used for transporting and/or buffering pallets over long distances (>30 m). 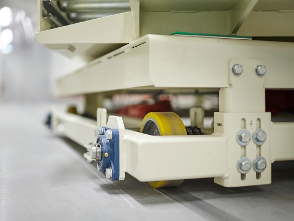 The number of moving parts has been kept to a minimum, which is one of the reasons why investing in a pallet shuttle is considerably lower than investing in conventional pallet transport systems such as roller conveyors. 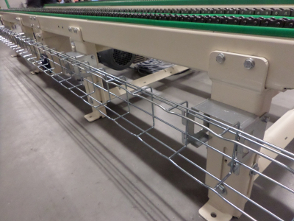 Traverse systems are available in various modules: roller conveyor, chain conveyor, turntable roller conveyor or perpendicular transfer. Optionally, the traverse can have a double system for a higher capacity. For shorter distances, the traverse is cabled and equipped with a drag chain. Longer transport distances use a voltage rail, with communication running through bluetooth or WiFi. 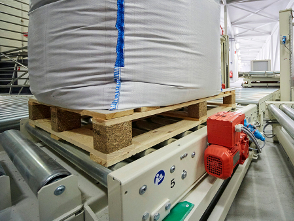 Perpendicular transfer for changing the conveyance direction of the pallet. 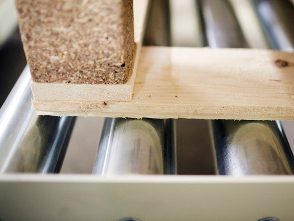 A pallet changes from widthwise transport to lengthwise transport on rollers, or vice versa. 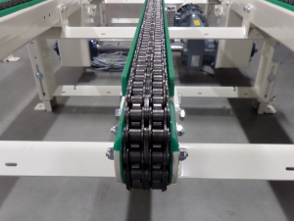 The 90-degree chain transfer can be equipped with a moving roller deck or chain tracks. The perpendicular chain transfer is fully electric, robust and has a linear lifting movement in at least 4 points. Dino Stretch Hood offers you the best and cheapest solution. 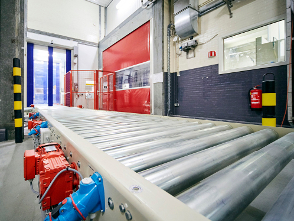 Combined with DINO Conveying, we make your project a complete success!